There are many reasons you might want to learn how to sew a zipper. I know that a lot of sewers out there are not really comfortable with the thought to sew a zipper. But it is changeable! We will help you with that. Zippers are a big part of the fashion industry. They are used often and are practically irreplaceable part of our clothes. We took care of making these steps ever less complicated. And we are presenting our finding of a video about not one, but two methods! Let’s not wait any longer and get straight to the matter of subject. 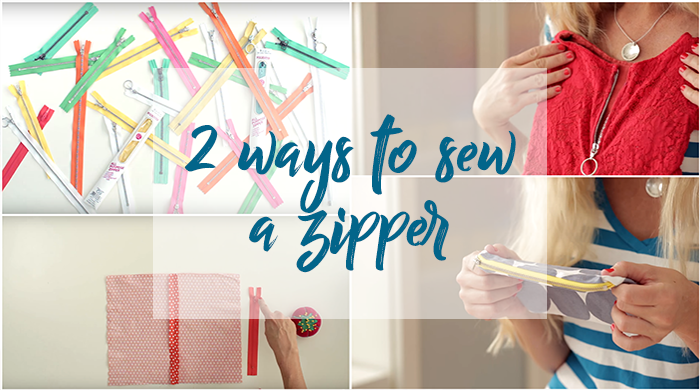 As we regularly do, we found a video and created a little photo collage for you to have everything you need to learn how to sew a zipper. Here is the video we promised published by an amazing sewing ideas creator MADE Everyday!